It isn't too often any more that I am questioned about my "method of birth control." Pretty much everyone that is around me knows my "methods" and typically practices the same, or similar, "methods." However, there are times when I meet people who aren't just like me. And I'm somewhat frightened/anxious/nervous of what happens when people ask me or allude to attempt to ask me what my birth control methods are. Especially now that Michael and I are pregnant - that will be three babies under three years old. And some of you know those words you never, EVER, want to hear when you get pregnant, "Wow! Did you plan that? You know how that happens right?" Plans? Well, sometimes God works in mysterious ways and gives you an incredible blessing when others around you would give anything to have an incredible blessing come their way. And, yes, I know how babies are made. And, yes, I would like to continue to be joined in a marital union with my husband even though I know that that's how babies are made. Then, invetiably, it comes, "Were you on birth control?" In the simplest of terms: No. 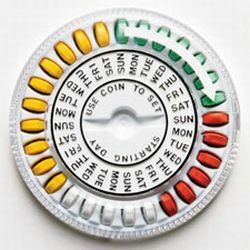 Birth control, as cited above, "all contain a small amount of synthetic estrogen and progestin hormones..." "Hormonal contraceptives can prevent pregnancy by making the lining of the womb inhospitable for implantation," meaning it prohibits the "fertilized egg [from] attaching to the woman's womb (uterus), where it receives nourishment and develops into a baby." HELLO! Is anyone reading this? Your man's sperm just found your egg and became a being. Just like that. Then this fertilized egg goes to find a home in the wall of your uterus, and your wall is "inhospitable" for your fertilized egg. Your husband and you, throught the act of a consensual, magical, wonderful union, just made a baby!!! And then, just like that, your baby has nothing to hold onto, nothing to receive nutrients from, nothing to help its development, and it just becomes absorbed by your body and flushed away with the rest of the uterine lining. Also, did you catch that synthetic part?? Synthetic = fake. I don't like fake hormones coming into my body, telling it how to act, and then effing up my uterine lining. No, thanks, buh bye. Birth control is also "up to 99.9% effective." And some, like the mini-pill, are 95% effective. Nah, birth control isn't for me. We use a method called Natural Family Planning (also called Fertility Awareness). It's kind of cool that Planned Parenthood has an entire segment on the Fertility Awareness Methods! NFP, or FAM, is effective at postponing pregnancy, and also typically relies on how diligent you are about checking (and charting) your fertility signs. However, since I use NFP as a Catholic woman, not just as a "don't put your aritifical hormone-d pill inside of this body," I am open to life even if my body is not showing the signs of fertility as they are expressed to me. This is all about being aware. I knew, the moment that I heard about NFP, that it was for me. I knew that I didn't want any fake stuff going into my body, I knew that I didn't want to thin out my uterine lining so that a fertilized egg wouldn't be able to survive, I knew that I wanted to become more aware of what my body is doing. So I started learning. And the awareness is exhilarating.. The idea that we are able to know when I am ovulating and when I am not is so amazing to me. 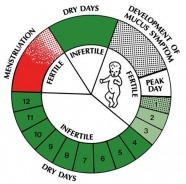 The idea that we know the signs of my fertility is incredible. The even crazier idea that my husband discusses fertility with me is incredible. It's not a hidden conversation that is bypassed through my taking a pill as I wake every morning. It is an open and consistent dialogue with the man who I want to be the most open, the most consistent, and the most honest with. He is my partner in my fertility, it is not a secret that must be kept in a dark corner that no one wants to look at. We are in this together, in all things, throughout our whole marriage. I love that every aspect of me: physically, mentally, emotinally, is open to my husband and vice versa. 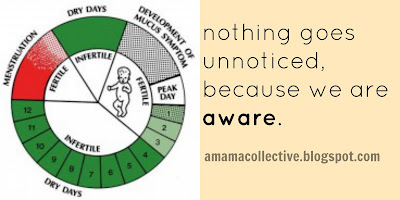 Nothing goes unnoticed, because we are aware. Natural Family Planning has been a part of my marriage since day one, and I know that we have grown closer through our open and honest dialogue regarding fertility, abstaining, not abstaining, babies, our openness to life, etc. Not only do I have no synthetic hormones, nothing scarring my uterine lining, and a heightened awareness of my body, but I have a partner through it all. And that means the world.